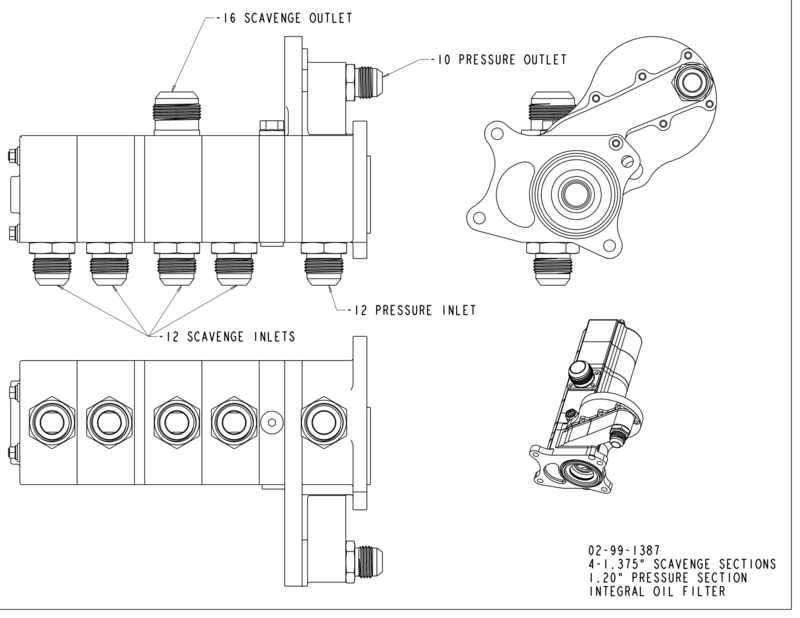 Our newest design for the cam driven sprint car engine has taken into account several issues with current pump designs. 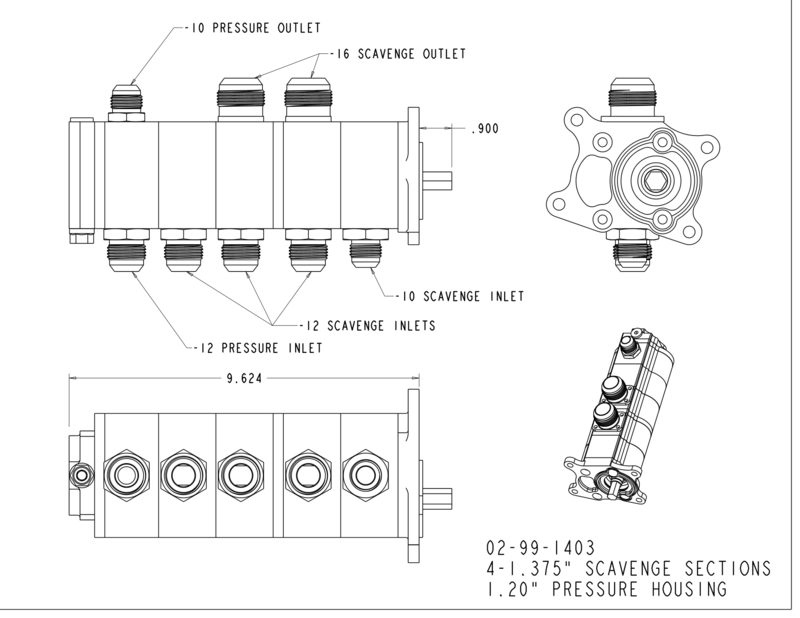 Our new scavenge housing design for the high helix twisted rotor has created a true positive displacement scavenge pump so pump efficiency is not compromised at low engine speeds while maintaining the benefits of a twisted rotor at high speeds. The twisted rotor is self driving and requires no timing gear so engine torsional vibration problems can no longer compromise the rotors timing gear interface causing premature pump failures. 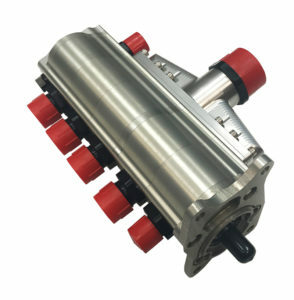 No longer do you have to seal the front of the pump with silicon to keep it from leaking through the studs because the studs do not protrude through the front of the pump. 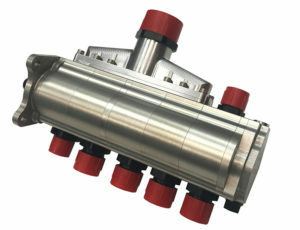 To help increase the volumetric efficiency of the pressure section this pump can have an optional -16 pressure inlet fitting.